Activision wants to remind you that Battlefield 4 isn’t the only next-gen shooter releasing this year to feature impressive destructible environment. A new pre-order bonus map called ‘Free Fall’ has been added to Call of Duty: Ghosts that’s said to “drop players into a shattered skyscraper on the brink of collapse”. Is it just a coincidence that DICE showcased the same thing during their multiplayer reveal of Battlefield 4 during E3 last month? That map is part of their new “dynamic map events” feature for multiplayer. 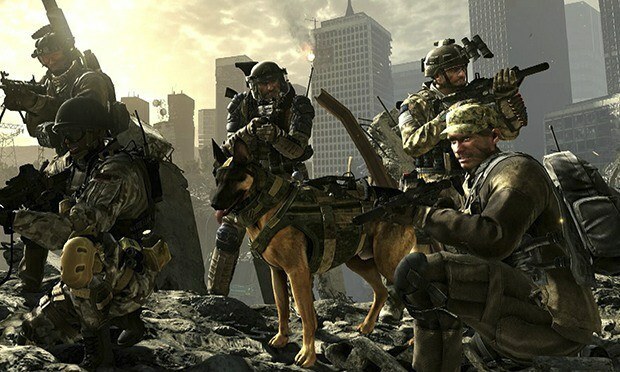 Activision previously stated and showed how some maps can suffer earthquakes and floods that change the course of battle. Does this spike your interest?